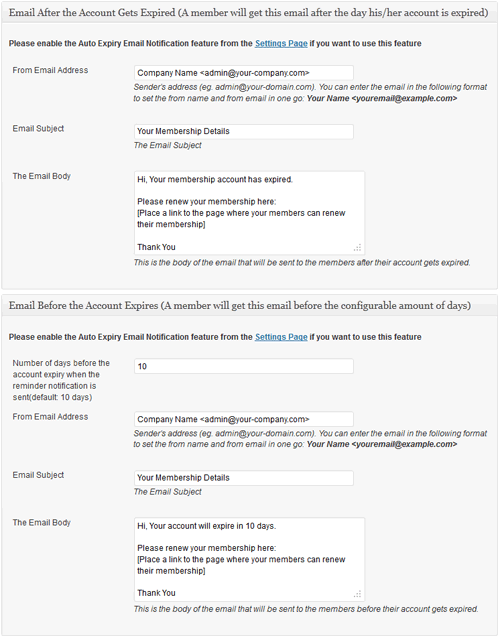 WP eMember can notify your members whose account is about to be expired or has just expired. You can use this feature to automatically prompt your members to renew their membership or take some other actions. Customize the email from address, subject and the body.